Move your Reversos and ATC Guides to the side, DMM’s revolutionary Pivot is here! What differentiates the pivot from other belay devices is its pivoting system that gives climbers greater control when in “Guide Mode”. The pivot reduces the distance from the pivot point and the load, this creates a more controlled lowering process because the actual force needed to lower a climber is significantly reduced. 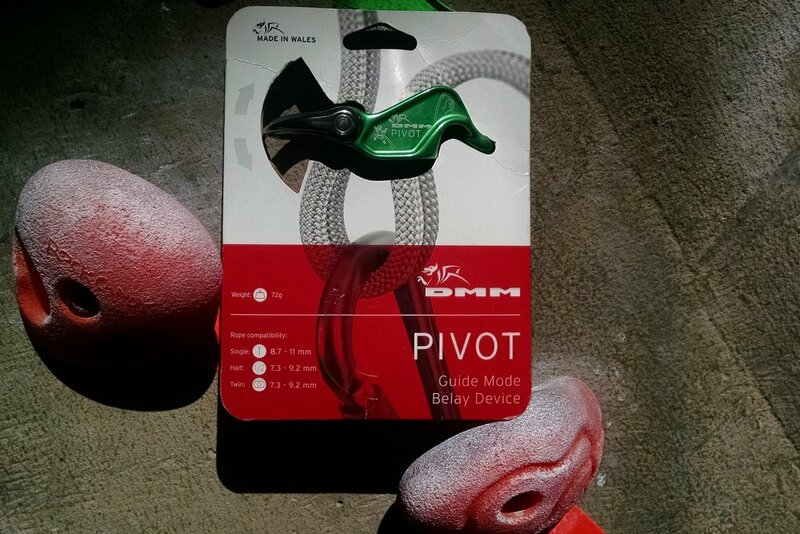 The Pivot is compatible with a wide range of ropes from 7.3mm to 11mm. Hot forged and handmade in Wales (UK), the Pivot will run you $34.95 plus tax. As always, RCF Members enjoy a 10% on all climbing gear. Blog post author - Nora!